Are you looking for Lost Vape Paranormal DNA250C TC Box Mod? Are you still hesitant because of High price? 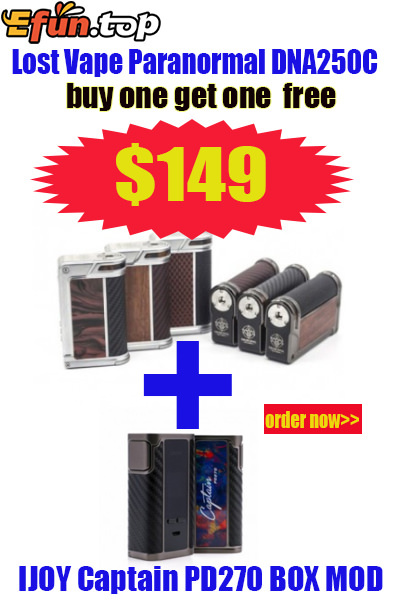 Don't hesitate anymore only $149 with coupon code "LVP96"Buy One Get One IJOY Captain PD270 BOX MOD for free. How to get it? So easy .